She Writes Press, 9781631523359, 360pp. Her brother's letter touched a match to the wick of Annie's doused dreams. Dream enough for her, to stroll the length of a town without the abortive glances, the stilted greetings, the wider berth given her on the sidewalk. "I could use some help out here," he wrote. "What's holding you to Iowa anyway?" Annie Rushton leaves behind an unsettling past to join her brother on his Montana homestead and make a determined fresh start. There, sparks fly when she tangles with Adam Fielding, a visionary businessman-farmer determined to make his own way and answer to no one. Neither is looking for a partner, but they give in to their undeniable chemistry. Annie and Adam's marriage brims with astounding success and unanticipated passion, but their dream of having a child eludes them as a mysterious illness of mind and body plagues Annie's pregnancies. Amidst deepening economic adversity, natural disaster, and the onset of world war, their personal struggles collide with the societal mores of the day. Annie's shattering periods of black depression and violent outbursts exact a terrible price. The life the Fieldings have forged begins to unravel, and the only path ahead leads to unthinkable loss. 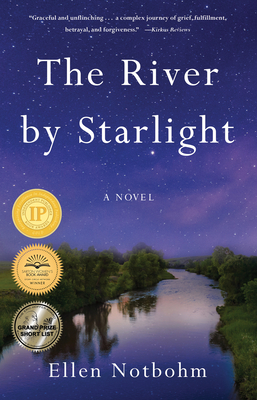 Based on true events, this sweeping novel weaves a century-old story, timeless in its telling of love, heartbreak, healing, and redemption embodied in one woman's tenacious quest for control over her own destiny in the face of devastating misfortune and social injustice.